29" high, 16" base and 26" is the distance between two ivories. This is an amazing fine art stone scuplture. 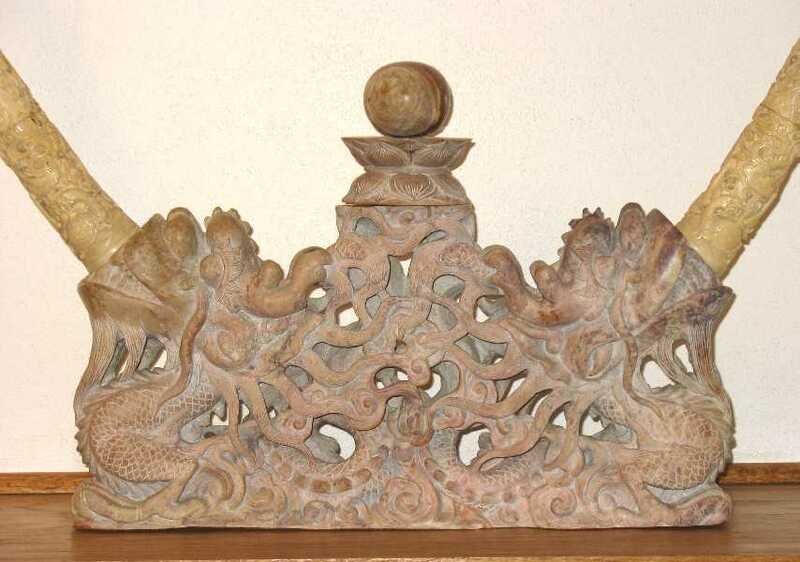 The set has two dragon heads and two finely hand carved tusks (made out of stone). 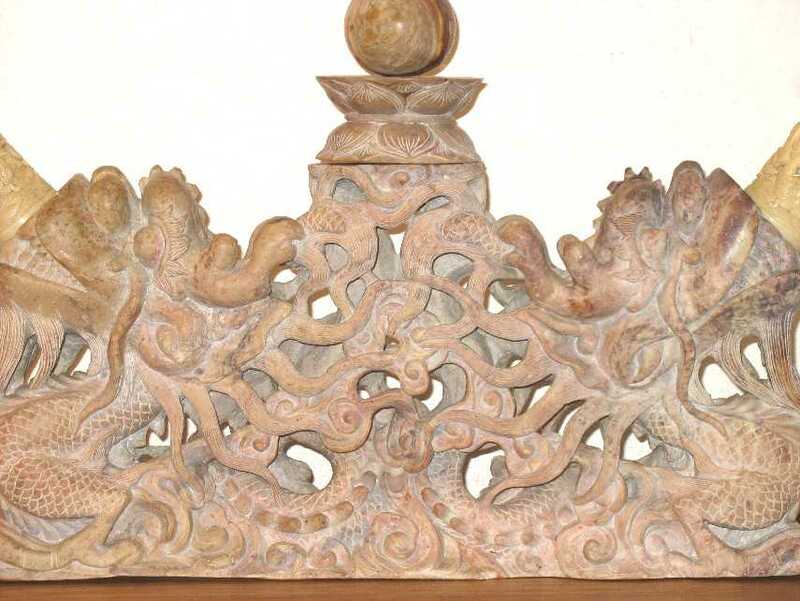 The stone is from central of Vietnam with the beautiful natural color. 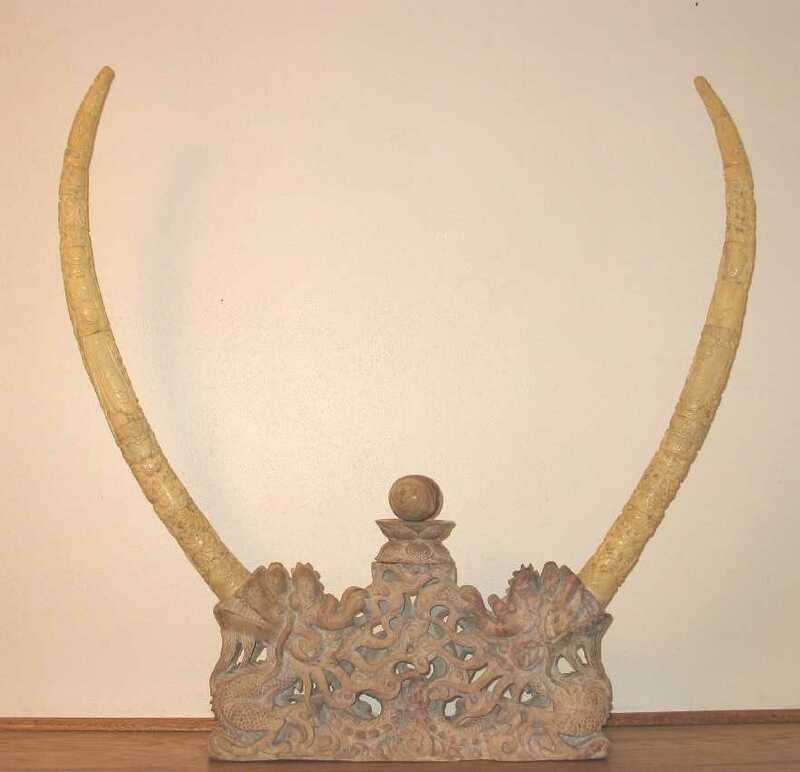 Especially, the "ivory" is made out of stone with the same color with real ivory. 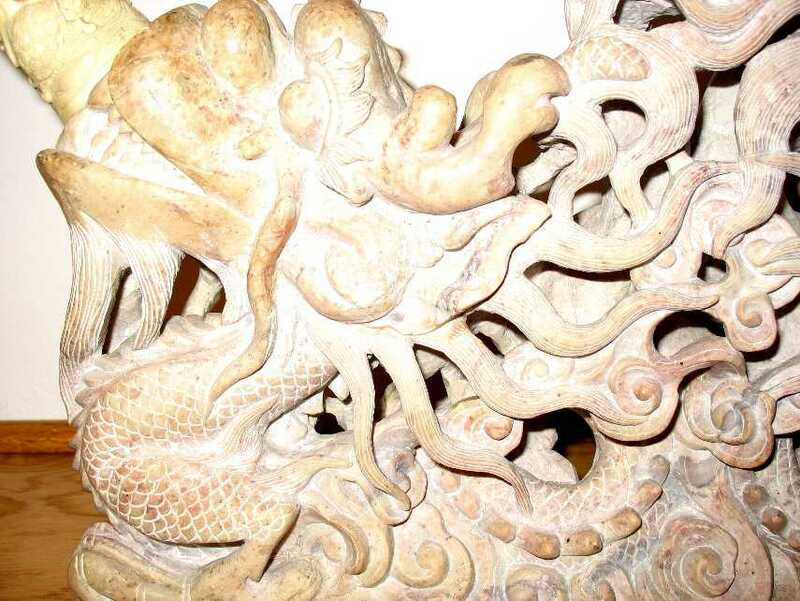 Click on the pictures to see the stunning hand carving details.